Our Brighton school is located just a stone's throw away from the beach and the historic town centre. Our British Council accredited centre guarantees quality learning with the students kept clearly in focus. Our Brighton school is located just a stone's throw away from the beach and the historic town centre. 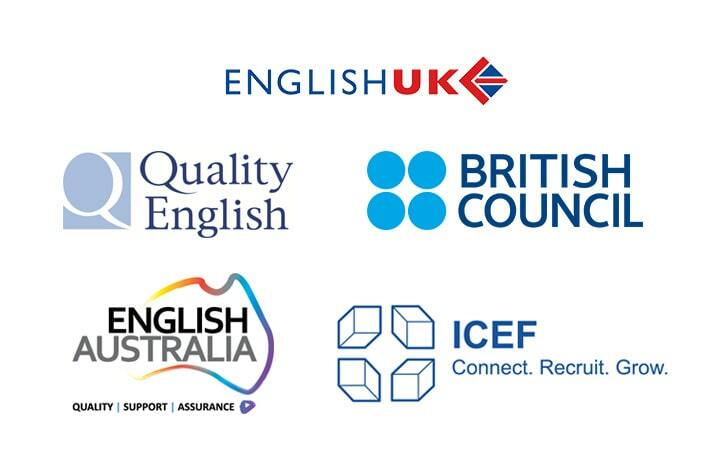 Our British Council accredited centre guarantees quality learning with the students kept clearly in focus. Housed in a beautiful Edwardian building with a large patio, common room and free internet access, students learn in comfort, with our newly refurbished residence just a short walk away. The Sprachcaffe Language School in Brighton aims to create an unforgettable environment and experience. We encourage meeting new people and enjoying the unique Brighton community. Sprachcaffe organises everything from welcome and farewell parties to a variety of themed nights, cultural outings and the infamously English pub crawls, ensuring the language tour becomes a truly memorable affair. Brighton boasts a relaxing yet liberating atmosphere from the moment you arrive. The young, trendy vibe echoes London’s lively buzz with the seaside location offering a more tranquil ambience. It is no wonder Brighton is affectionately known as “London-by-the-Sea”. From relaxing on the pebble beaches to exploring the famous Royal Pavilion, Brighton will enthral every student with the huge variety of activities to indulge in. Unwind with a friendly game of volleyball or take a stroll along the promenade.